The Beaver Colony meets at the Chapter House, Chelmsford. Our meetings run from 6.30pm to 7.30pm once a week every Wednesday. Beaver meetings generally follow a theme each week. Beavers should also attend two church parades a year, on Mothering Sunday and the Harvest Festival, also attending the District parade for St George's Day. Beavers discover new things, make new friends, and enjoy many activities. The Cub Pack meets at the Cathedral School Hall, Chelmsford. Our meetings run from 6.00pm to 7.30pm once a week every Thursday. Cubs should also attend five church parades a year, and have the opportunity for adventure, camping, outdoor activities, and residential experiences. 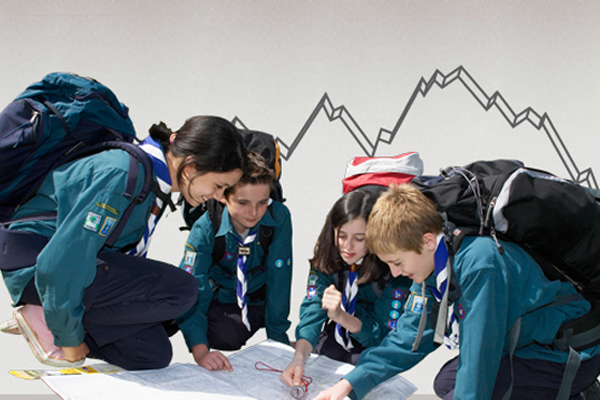 Cubs explore their community, make new friends, learn to work as a team and develop key Scouting skills. Most of all Cubs have fun! The Scout Troop meets at the Cathedral School Hall, Chelmsford. Our meetings run from 7.45pm-9.15pm weekly every Thursday during school term time. Scouts should also attend five church parades a year, and have the opportunity for more adventurous activities, including District and County challenges. Scouts push their boundaries through adventurous activities, cement friendships, developing skills for life whilst having fun.